Mumbai: Americanprivate equity (PE) giant Blackstone Group Lpexpects to invest roughly $500 million (around Rs2,635 crore) to $720 million a year in India over the next few years, a top official said on Tuesday. 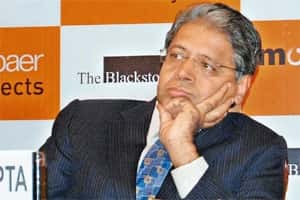 Weak markets are prompting capital-hungry entrepreneurs to knock on the doors of PE investors, and valuations are coming down, Akhil Gupta, chairman and managing director of Blackstone India, told the Reuters India Investment Summit. “Not just ourselves, but the entire fraternity is extremely busy right now," he said. Gupta declined to comment on media reports that Blackstone was in talks along with rival Carlyle Group to buy the telecom tower unit of debt-laden cellular carrier Reliance Communications Ltd. While Blackstone has been a big investor in infrastructure in India, he said the telecom sector, crowded with more than a dozen cellular carriers, remains plagued by regulatory uncertainty. “I can give you lots of scenarios where telecom may be a great buy, but it will depend on how the regulations unfold, and I have no certainty that regulations unfold the way it should unfold," Gupta said. PE investments in India jumped 31% to $7.89 billion in the first three quarters of 2011, according to data from auditing and consultancy firm KPMG. While Blackstone is one of a handful of PE players to complete a takeover deal for an Indian company, Gupta said he expects the sector to remain dominated by minority investments as controlling family shareholders are reluctant to part with their companies. “There is a big cultural issue about buyouts," he said. “In Brazil, you sell your company, you celebrate, everybody thinks you’re a hero," said Gupta, who previously worked with Reliance Industries Ltd and has an MBA degree from Stanford University in California. “Here if you sell your company, unless you get the valuation that Ajay Piramal got, there’sa stigma attached to that sale. You want to give it to your children." Last year, Piramal Healthcare sold its branded generics business for $3.72 billion to US-based Abbott Laboratories.